Did you know that procrastinating can be good for you? 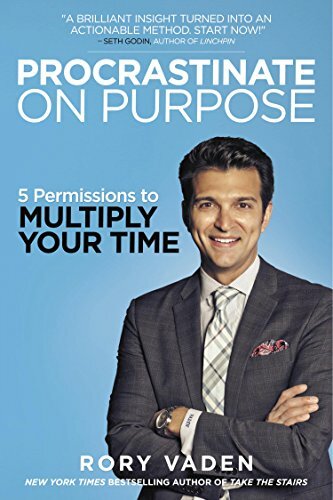 This summer, I’m going to explore the concept by reading Procrastinate on Purpose: Five Permissions to Multiply Your Time by Rory Vaden, and I want to invite YOU to join me! I have NOT read the book yet, so I’ll be on the journey with you. Interested? You can get the book here and I’ll receive a small commission. Scroll to the bottom of the page to see my recommended books.